I love hot summers, when you can sit in the shade of a big tree and smell all the beautiful blooming flowers. The photos I am going to share here with you capture exactly that spirit - an amazing, hot, summer day with stunning flowers all around. 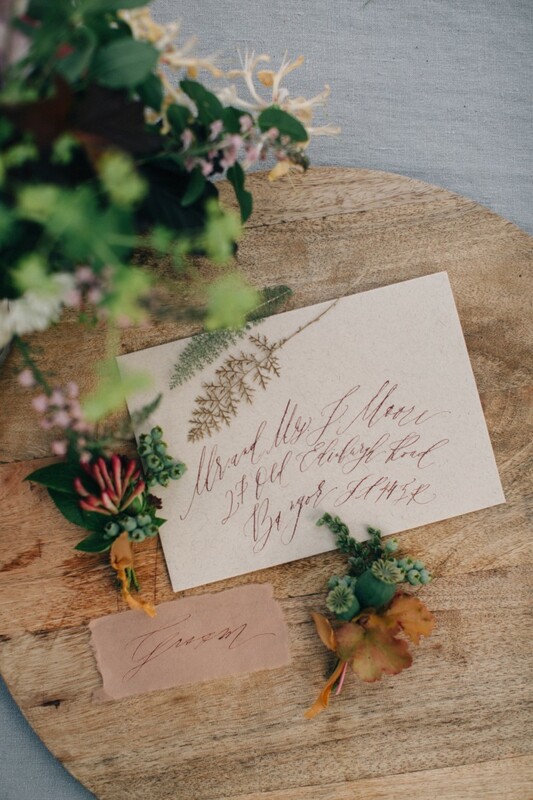 Last June, Grace from Grace and Saviour contacted me and requested a stationery set for a botany inspired shoot. When I got the brief I knew straight away I would love to use an old botanical print as part of the stationery. I chose a beautiful print by Nicolas François Regnault and Genevive de Nangis Regnault from 1774. I used a variety of handmade papers and brown ink to emphasize an earthy feel. The shoot took place at an 18th century Irish greenhouse in Broughshane on probably the hottest day of that summer. A perfect venue, perfect timing and a perfect team of creative people. 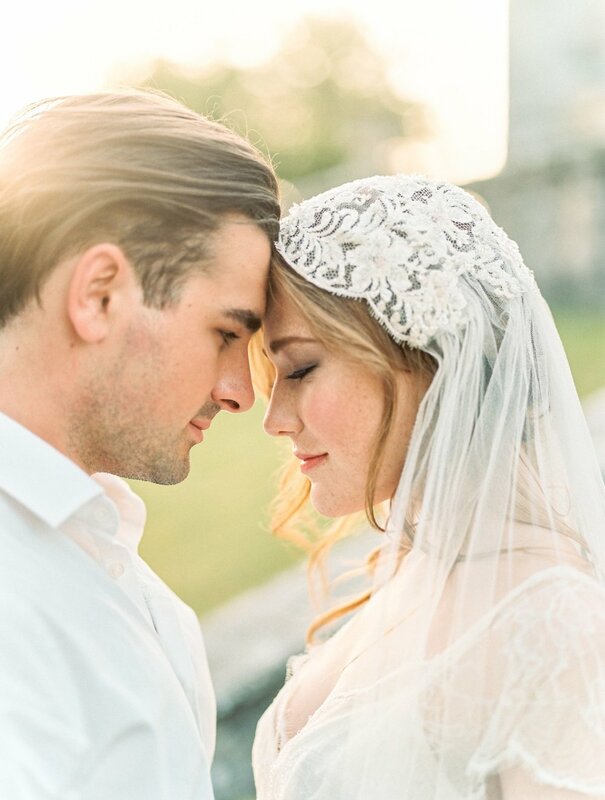 Paula O’Hara was a photographer and the photos are just a dream! 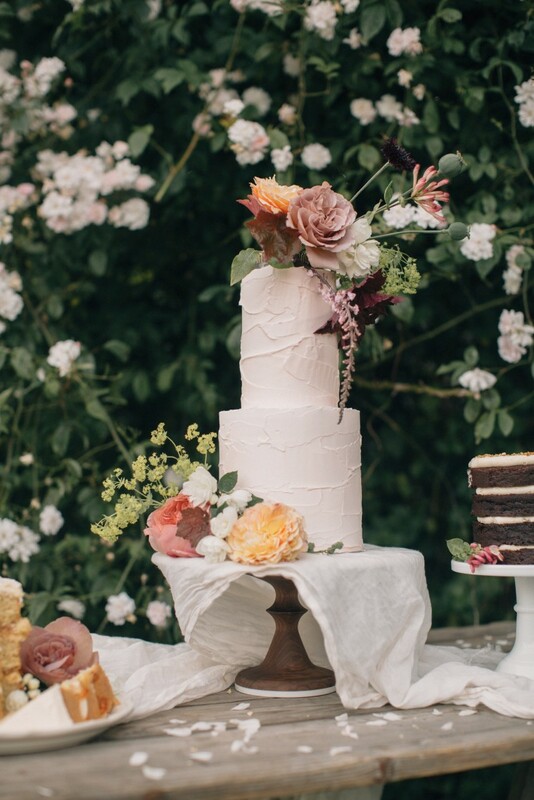 Abigail from Petal Studio created beautiful, seasonal and textured floral arrangements and Suzanne from Cove Cake Design prepared a trio of cakes. If you would like to read more about her creation then check out her blog here. For a full list of vendors see below. The team effort paid off as the shoot is featured this month on Green Wedding Shoes. 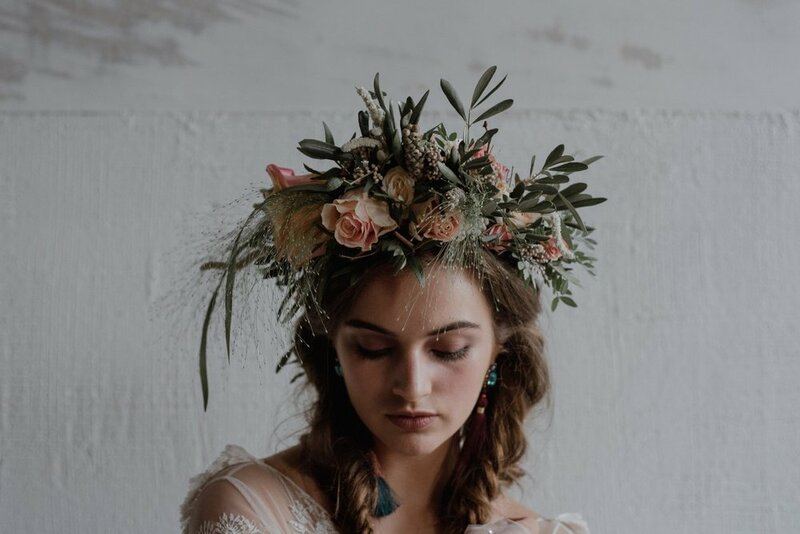 What I love most about taking part in a styled shoot is the amazing opportunity to work with talented and creative people. In April I was fortunate enough to be contacted by Grace from Adam and Grace Photography. Adam and Grace are really talented wedding photographers and I’ve been following their Instagram feed for a long time. So of course I was very excited to be part of a styled shoot that they were organising. Laura from Betty Williamson Weddings & Events was a stylist and as I had already worked with her previously, I just knew the photos were going to be beautiful. And was I right! 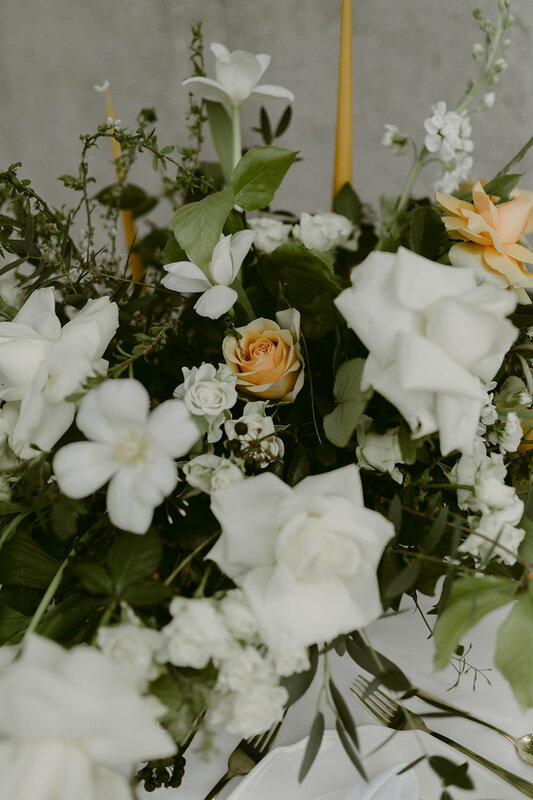 I love the simplicity and delicate colour pallet of white and ivory with a hint of orange and greenery. The shoot took place in The Palace Demesne Public Park. Please see the full list of credits below. I find the locals friendly, talkative and fun to be around. But they are also creative and artistic people who love what they do and are often very good at it too! 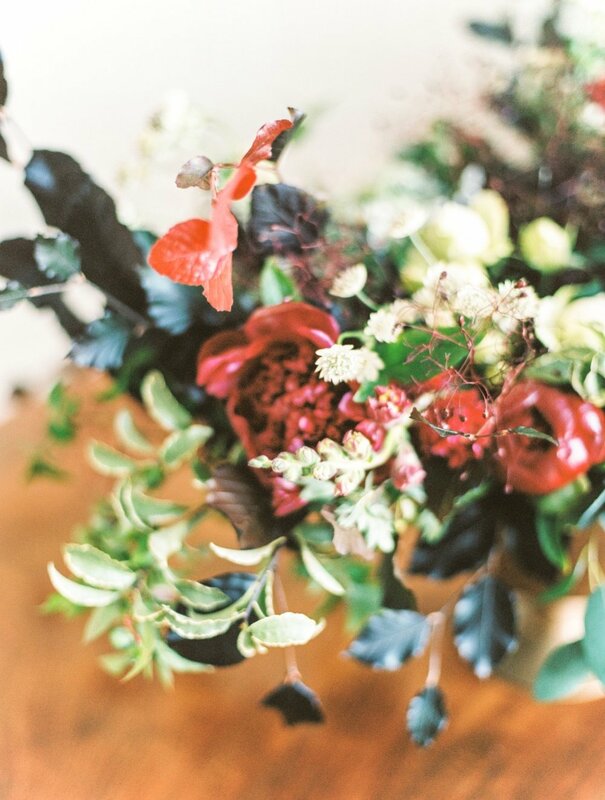 Photographers, designers, stylists, florists…there is so much talent around! I am very grateful that because of my calligraphy work I have had a chance to get to know and collaborate with some of these talented people. 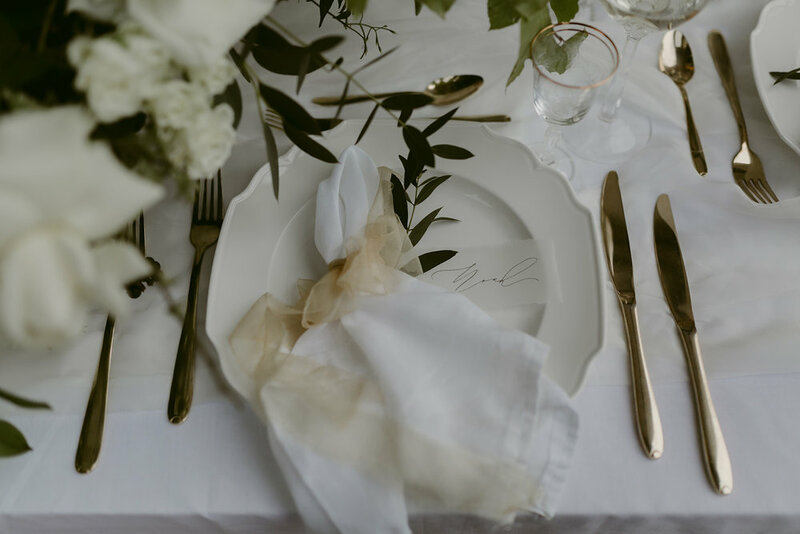 I was thrilled when Laura, a stylist and wedding planner with Betty Williamson Weddings & Events, asked me to collaborate with her on a styled shoot back in July. 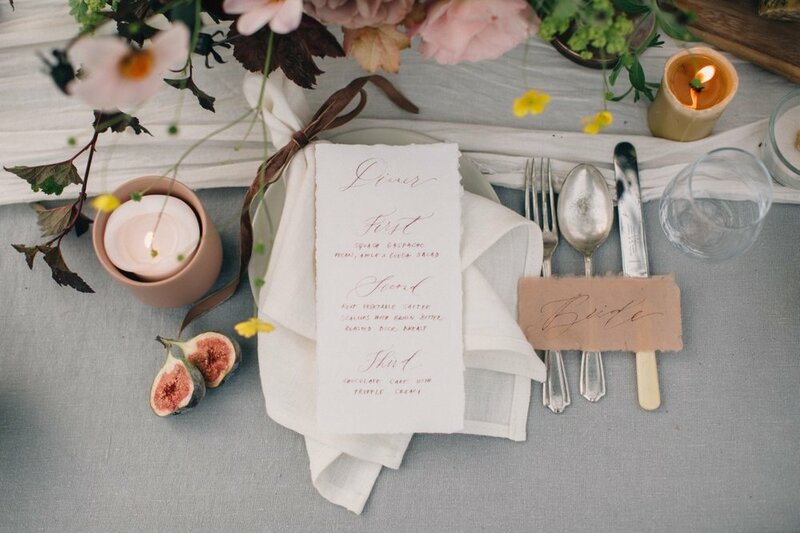 The brief was Middle Eastern inspired boho, with a blush and earthy colour pallet. 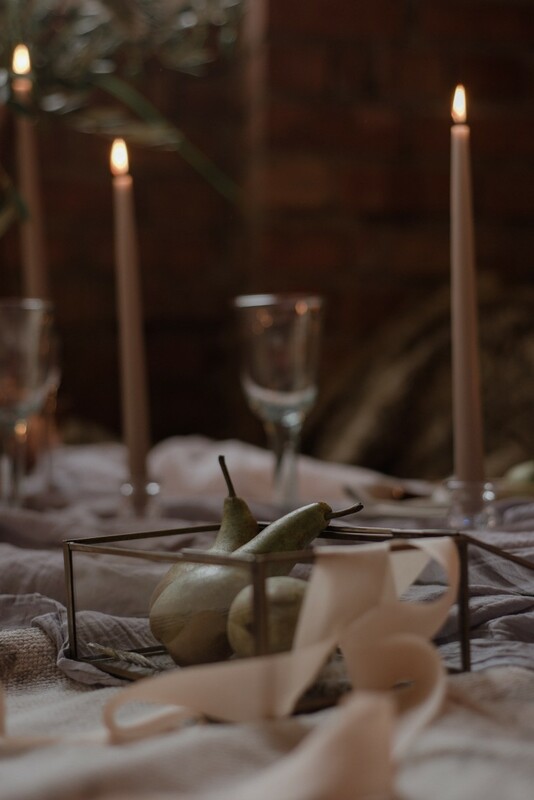 The shoot took place in Pineapple Studio in Belfast and was captured beautifully by photographer Kelly McAllister. When I received the photos I couldn’t have loved them more! The styling, the dresses, the light… in my opinion simply stunning. 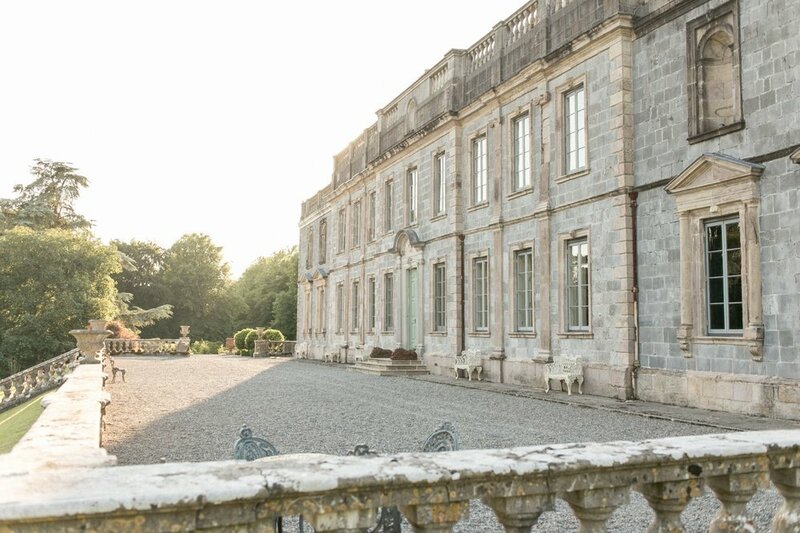 With its beautiful, cliff-worn coastline, emerald green hills, romantic hidden beaches and an abundance of unique, old castle estates, Ireland has much to offer in the search for the perfect destination wedding. Although often overlooked in favour of more obvious, warmer climes, Ireland is the perfect choice for couples who want somewhere different, brimming with charm and legendary local hospitality. 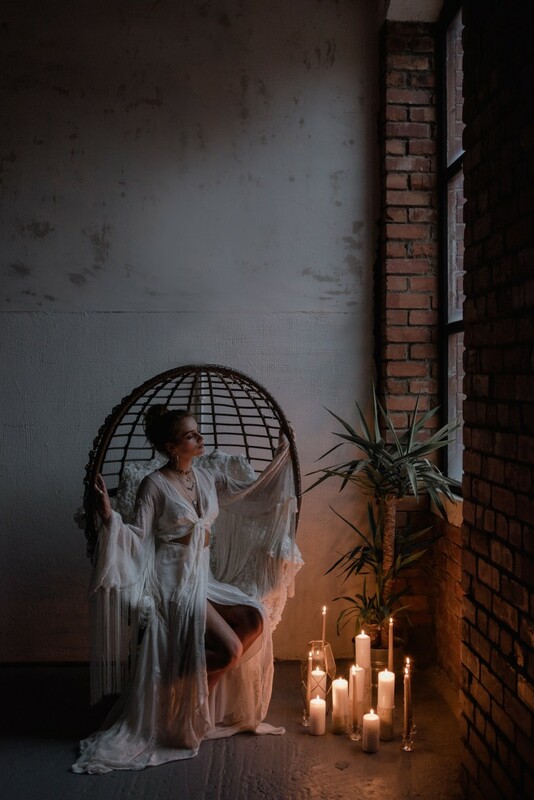 “Dark and moody, a mix of folklore, old world, a nod to a country steeped in history.” These were the instructions I received from Gabby of Banks and Leaf when she invited me to collaborate on an amazing styled shoot back in June. Of course, I was very excited to join the team! 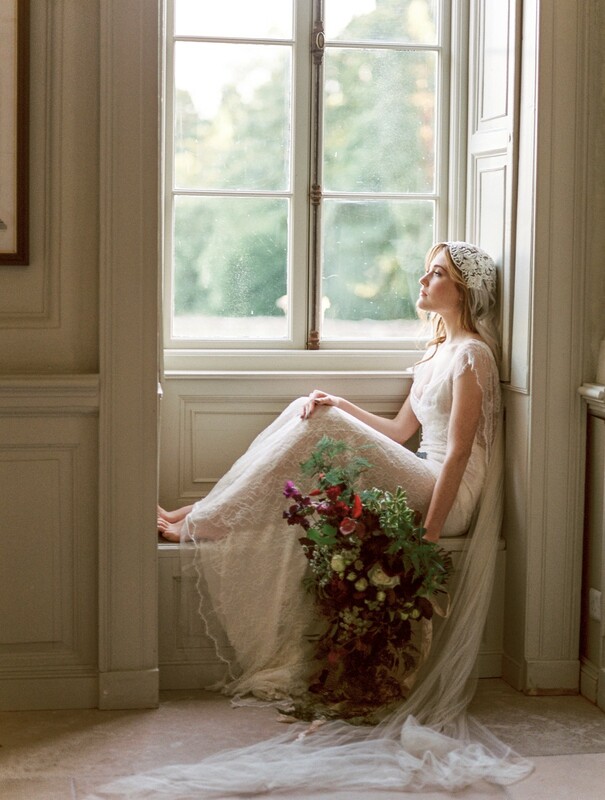 The shoot was captured beautifully by photographer Lisa O’Dwyer, who has a personal connection to Ireland having lived here for many years. Both Lisa and Gabby travelled all the way from their bases in Colorado (USA) to make it all happen. 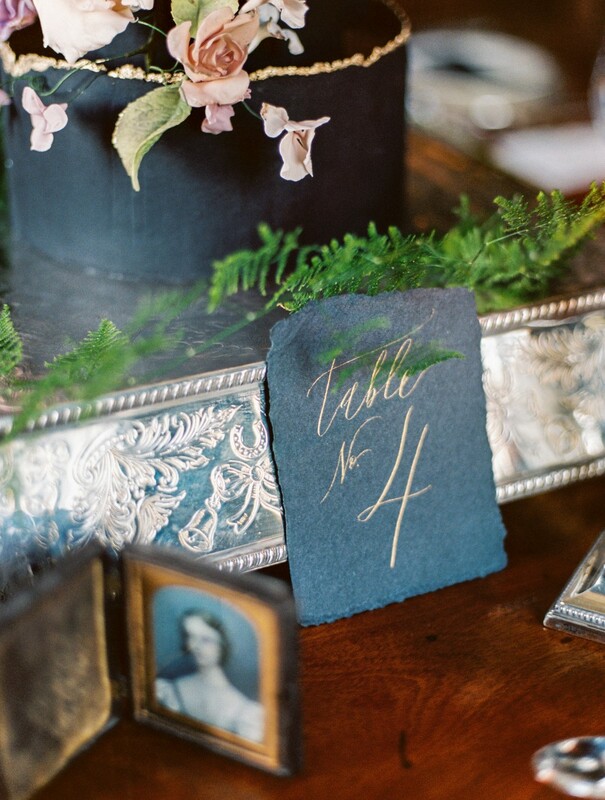 For the invitation suite I was inspired by the darker colour pallet. I experimented with gold ink on a dark grey handmade paper, which created a distinct contrast. I finished it all off with deep red silk ribbon and gold wax seals. Floral elements and a crest illustration emphasized the old world theme and Lisa provided some vintage Irish stamps that brought it all together perfectly. 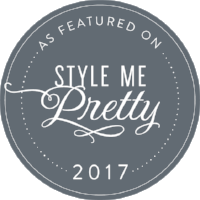 I’m thrilled that the shoot has now been featured on Style Me Pretty. You can view the full gallery here. Sometimes the best things come unexpectedly and happen very quickly. Other times it is necessary to wait for them for a really long time. 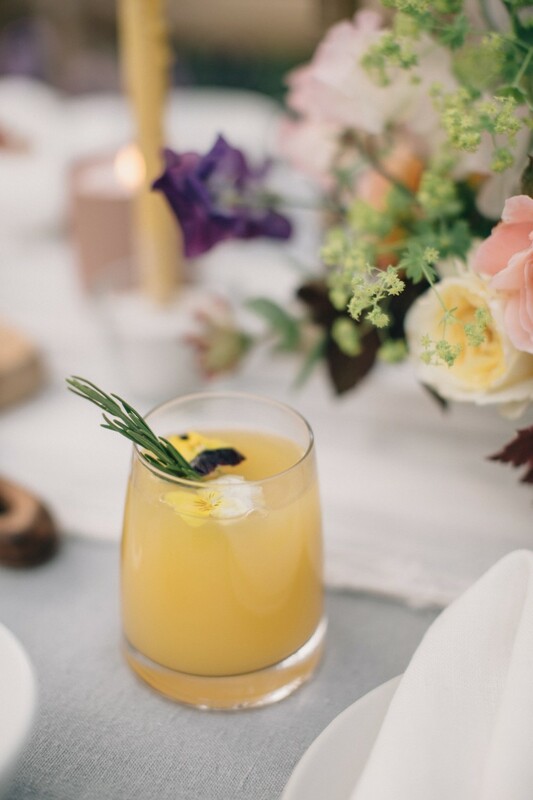 Somehow both happen to be true for my cooperation on this stunning styled shoot held in Estoril, Portugal. Nikolina from Splendida Weddings contacted me last February about creating a wedding invitation suite for the photoshoot she was organising. When she sent me her beautiful mood board and told me about all the amazing vendors that were going to participate, I couldn’t have been more excited. Although time was very tight I got so much joy from designing and making the suite. To achieve the desired elegant and romantic look I used handmade Khadi paper and gold ink. Her beautiful mood board included hues of pink so I decided to add a touch of lighter and darker pink watercolours throughout the suite. Even though it was necessary to wait a while to share these beautiful photos, taken by Passionate Photography, all the waiting was finally worth it as the shoot is now featured on Magnolia Rouge. I had a difficult time selecting just a few photos as there were so many great shots to choose from. I hope you enjoy them as much as I do. If you like to see the full gallery, please have a look here. 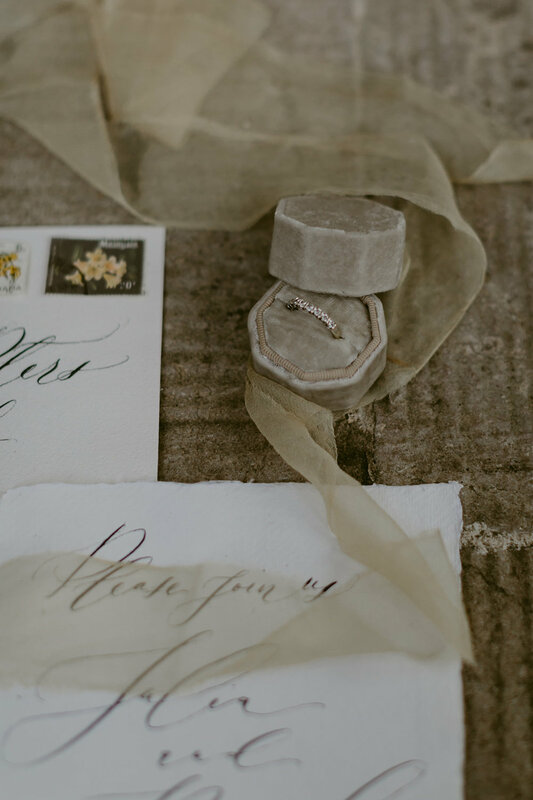 Have you ever received an invitation which managed to capture the theme of a wedding or event so well that you were able to envision it exactly as soon as you opened the envelope? 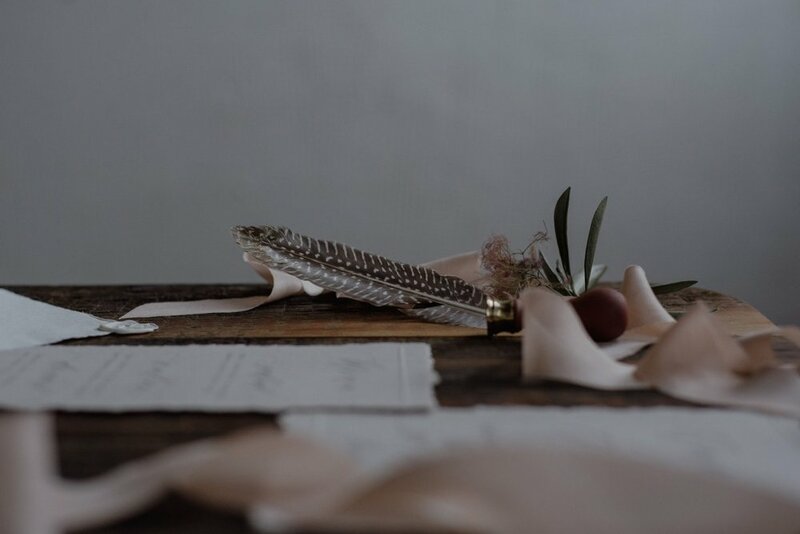 Invitations are one of the most essential parts of planning a wedding because they set the tone of what guests are to expect on the wedding day while at the same time helping them prepare for your event. 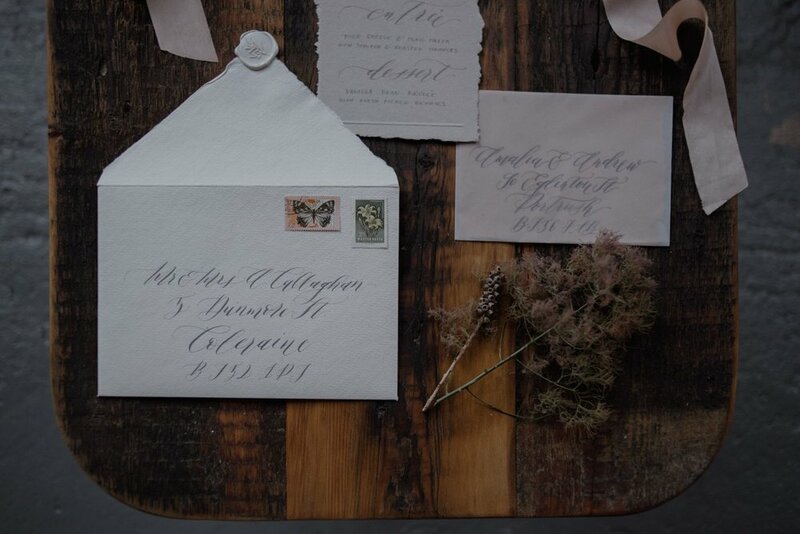 With your wedding invitations you let your guests have a sneak peek into your special day. 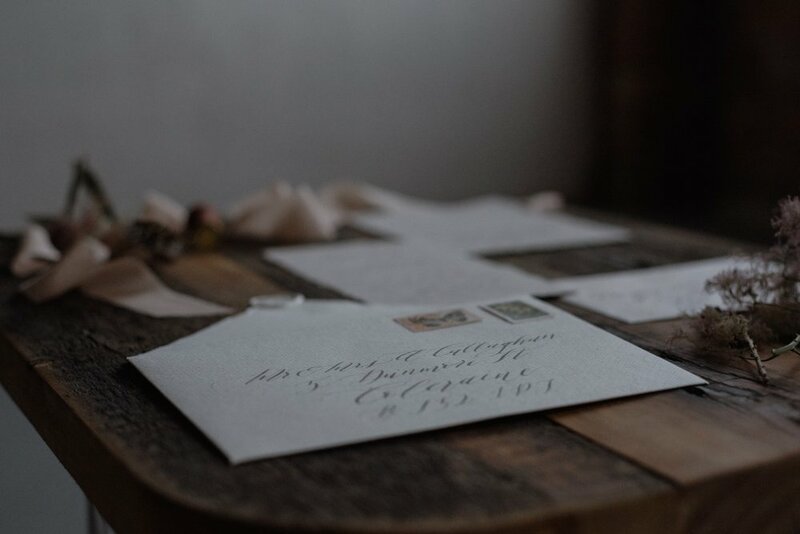 Obviously there is a practical side to sending the invitations such as letting your guests know when and where the wedding is going to take place, but there is also the other part, which is much more exciting! It is amazing what a difference some embellishments can make. They set the tone and formality but also speak volumes about your style, personality and attention to detail. 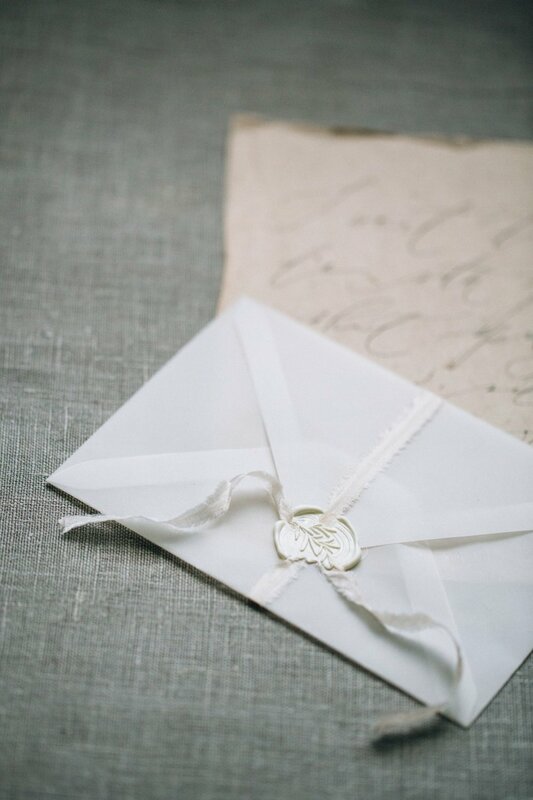 Little details like envelope liners, ribbons and colourful wax seals can very much transform the whole look of the suite. As an example I have created two inspirations boards which feature my Heather collection. Although the suite in both is identical, a few accessories are able to completely transform it into two totally different looks. In the first one I used a soft and airy colour palette of light grey, blush and ivory. To achieve this look I accomplished the suite with silk ribbons, and vellum paper envelope liners. 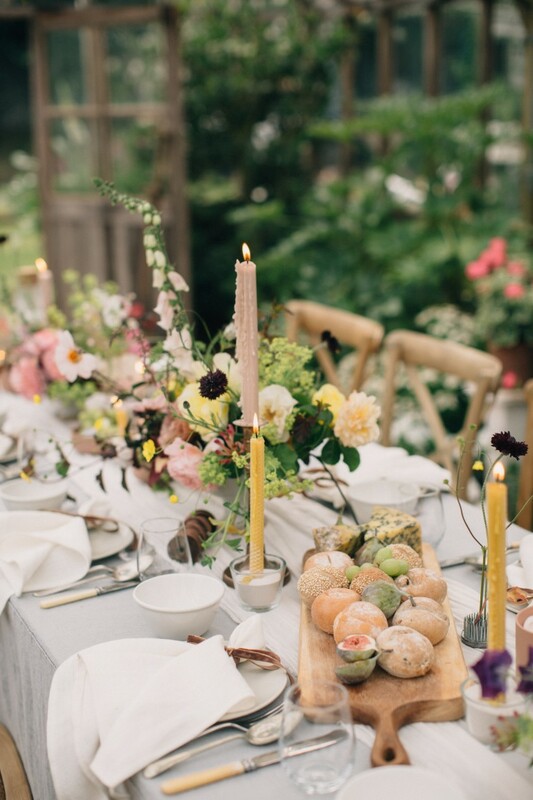 This style would be a perfect fit for a French summer inspired outdoor wedding. The second inspiration board features deeper tones of grey and blue. 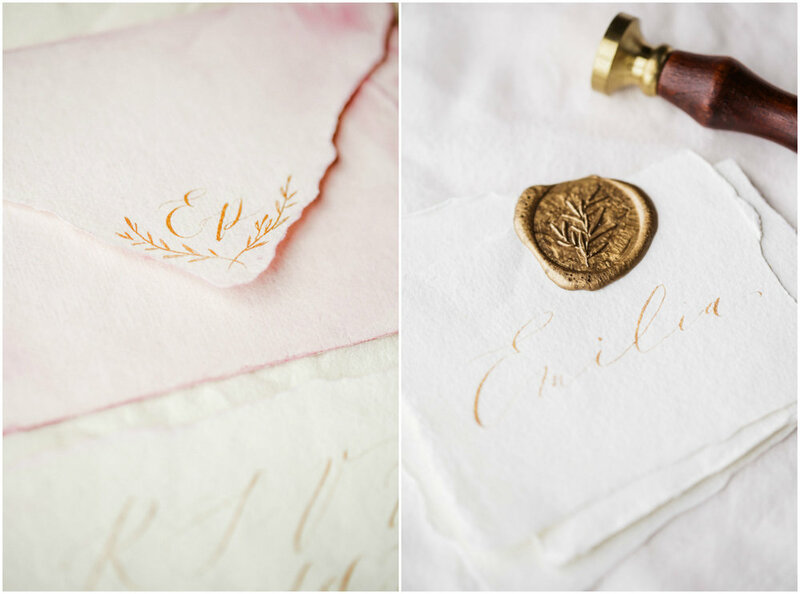 The golden wax seal and heavier satin ribbon add a whole new dimension to the look. 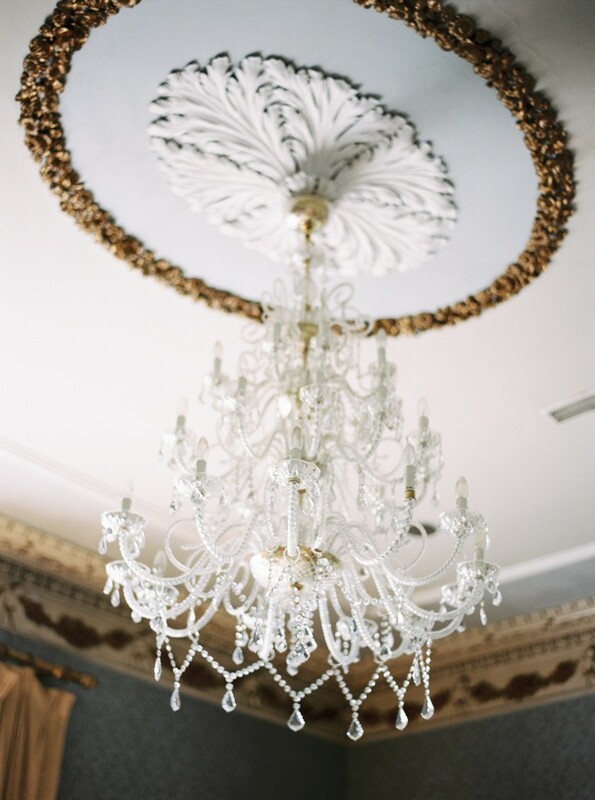 It would be a great choice for a glamorous stately home wedding decorated with lavish florals and gold elements. I hope I have shown you how wedding stationery can be tailored to perfectly compliment a variety of styles of wedding. If you would like to discuss how one of my collections can fit your big day I would love to hear from you via the contact form. All the additional source images used in these mood boards, along with credits, can be found here and here. Wedding Photography Workshop in De Burgh Manor, Kildare. “I want to do with you what spring does with cherry trees”. 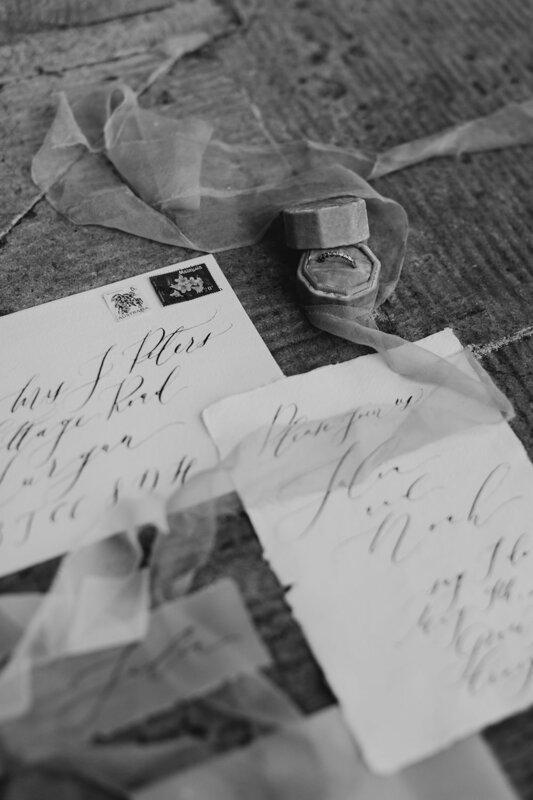 In March I was given an amazing opportunity to create the wedding stationery for a photography workshop which took place in the beautiful De Burgh Manor in County Kildare. 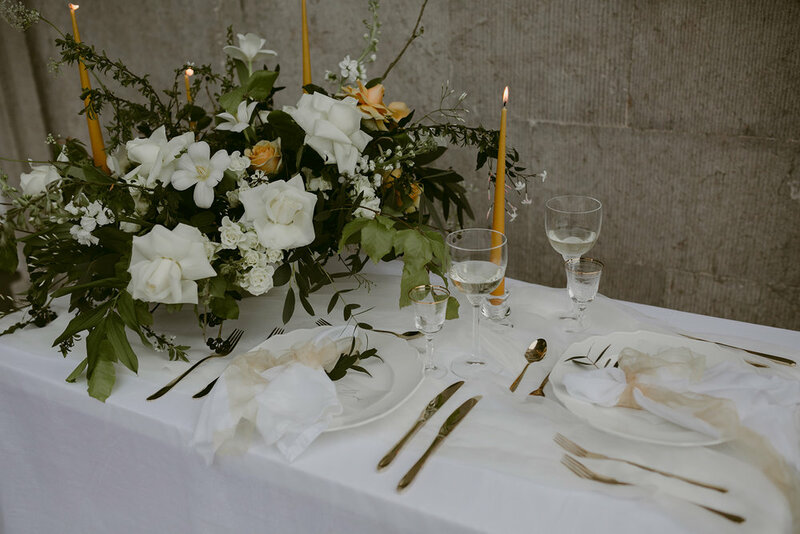 Having seen previous work of Grace Campbell, the stylist and event planner from Grace and Saviour and photographer Paula O’Hara, I was so excited to be part of this wonderful project. The 3-day event included workshops by some of the most renowned photographers in Ireland and the UK including Tomasz Kornas, Tom Robak, Wojtek Chrapek, Rob Dight and Paula O’Hara. 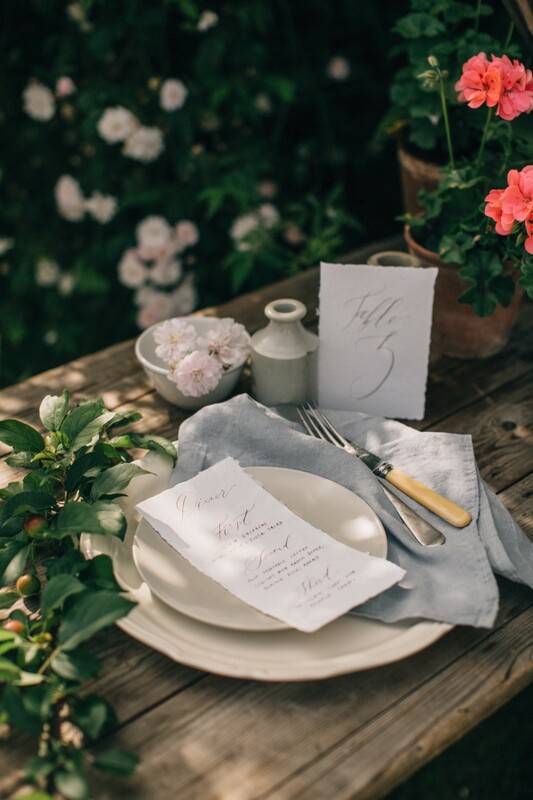 The brief I received from Grace was perfect for a spring-inspired shoot. Shades of clay, transparency, lightness and spring blossom. I managed to get some stunning handmade paper from Torn Edge Paper that helped me to complete the brief. As I wanted the paper to speak for itself I went for a simple and flowing calligraphy style. 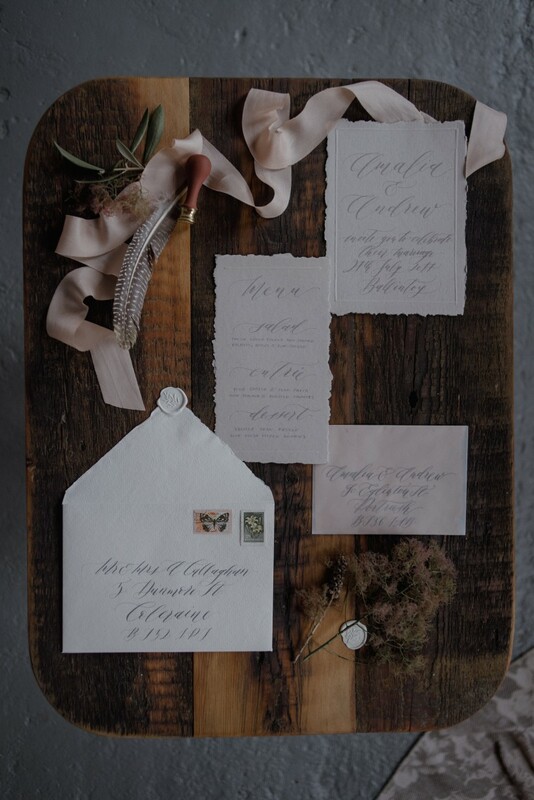 A white ink drawing of magnolia branch on velum paper, blush silk ribbons and white wax seals completed the whole look and emphasized the theme. As the very last piece of the suite I wrote a quote by Pablo Neruda which tied the whole set together. Please take a look at these stunning photographs by Paula. There were so many that it was really difficult to choose which ones to include here. The whole team who put this shoot together did an amazing job and I can’t wait to work with them all again! 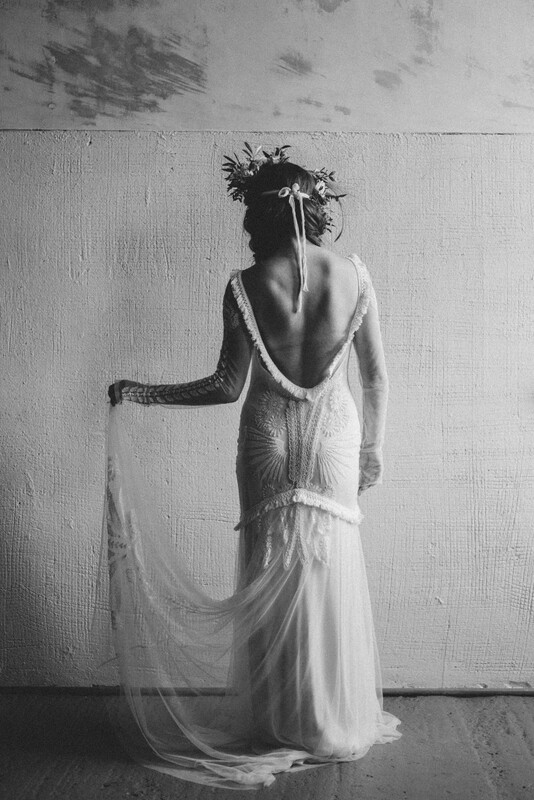 Photography behind the new Lenka Calligraphy wedding collections. 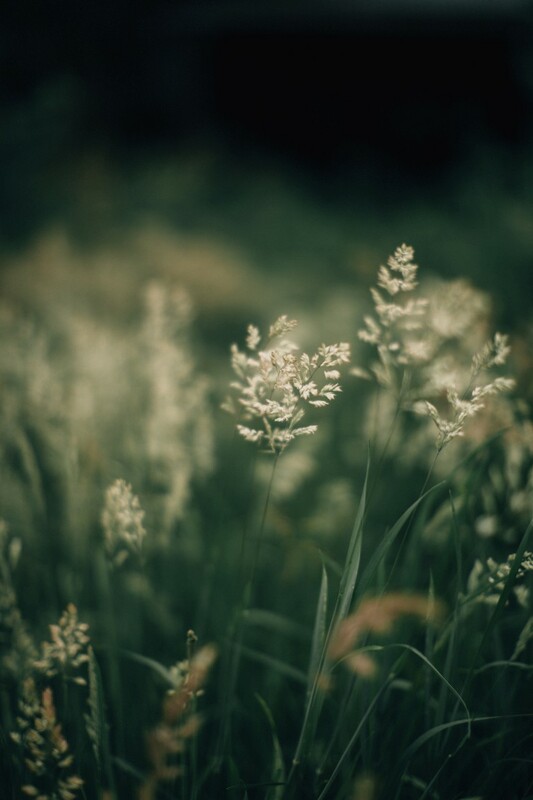 I love nice photos and I confess I spend way too much time browsing the many beautifully styled images on Instagram. Before I started to work on my new website I’d known that I want to have beautiful and professional images of my work but also that my photography skills are not going to be enough. I feel very fortunate that my good friend Meggy from Margarethe-Photography offered to help me. I used her services a couple of times before and she always delivered stunning images! Knowing her style I was confident she would be the perfect person to photograph my calligraphy. Here are some examples of Meggy's work. Meggy lives in Lower Austria and has been running her own business since 2015. Her background is in media technology and design and despite a successful career as a video editor she has decided to give it a go and become a full-time freelance photographer. She focuses mainly on lifestyle photography, including baby, portrait and couple shootings. Her images have a soft, organic and relaxed quality to them. As we don’t live in the same country, planning and execution of the photos was a bit of a challenge. But seeing the first test shots I knew that the results would be even better than I’d hoped. 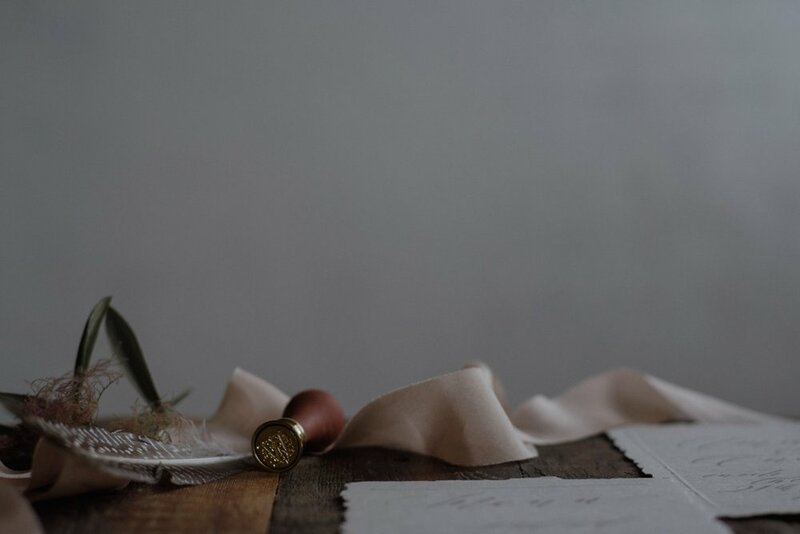 She managed to capture the feeling of my individual wedding suite collections just as I had envisaged them. 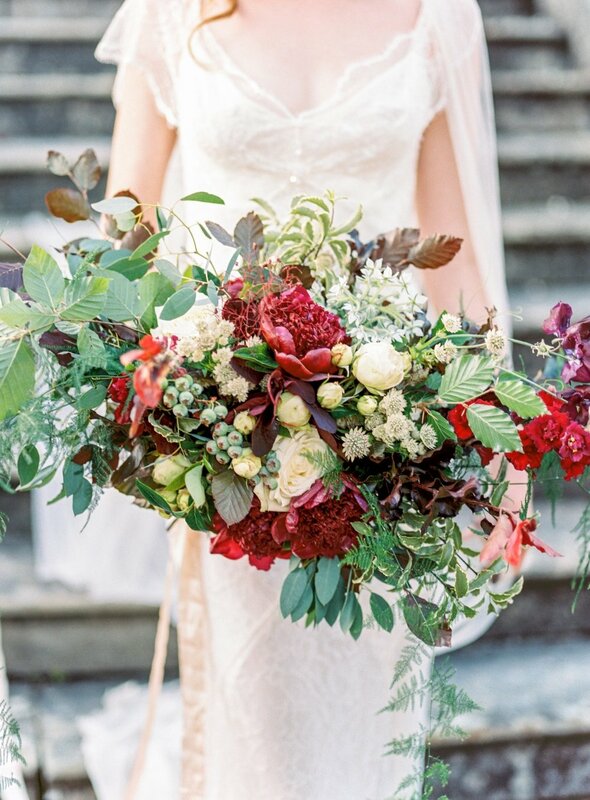 The photos of Heather are soft and airy, Burgundy looks elegant and regal, and the romance and delicacy of Rose really come through. 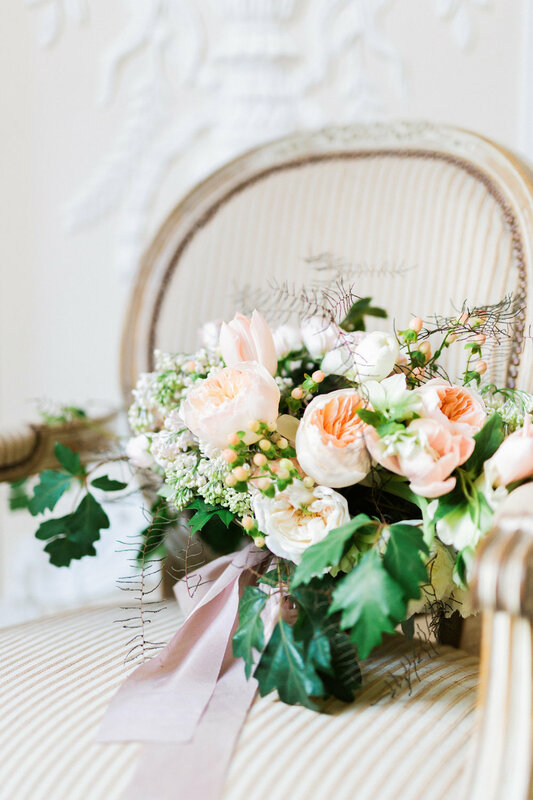 The beautiful floral décor by Conny from Florietta was an ideal addition and helped to make the images complete. Please take a look at my new wedding collections here. One behind-the-scenes picture of Meggy's studio and her little assistant while shooting the collections.